Found 10 file extension associations related to Google Android SDK and 8 file formats developed specifically for use with Google Android SDK. Android SDK is used to develop new applications for Google Android operating system. Android applications are written in Java source code and compiled for Dalvik virtual machine that is a part of the Android system core. SDK contains set of tools such as debugger, libraries, a handset emulator, documentation, sample code, and tutorials. Android SDK supports Microsoft Windows, Mac OS X and Linux operating system. 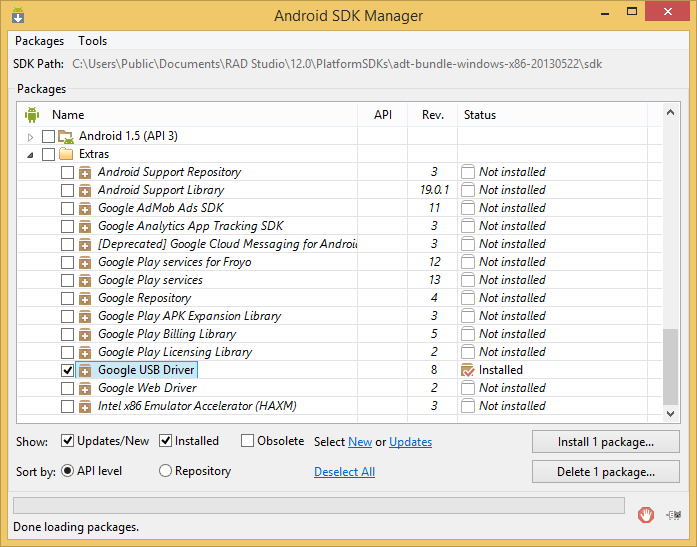 Android SDK was replaced by Android Studio development tool. The Google Android SDK software seems to be old or discontinued. Android APK file format description - Manual installation of Android applications. If you need more information please contact the developers of Google Android SDK (Google Inc.), or check out their product website.